BYU Travel Study helps BYU alumni and others continue their education in the classroom of the world. 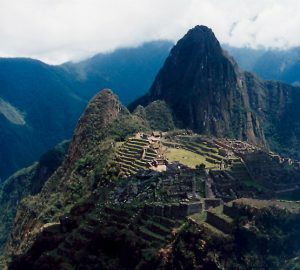 High atop the Peruvian Andes sit the ruins of Machu Picchu, one of the dozens of locations visited by BYU Travel Study. Did you ever want to have a study-abroad experience in college but didn’t have the time? “Just because you’ve graduated doesn’t mean your education has to end,” says BYU Travel Study director George J. Talbot, ’64. Offering 60 to 70 programs in a typical year, Travel Study directs tours ranging from week-long jaunts to month-long stays all over the world. The most popular tours are Central American Book of Mormon tours, biblical tours in the Holy Land, and Church history tours in the eastern United States. But Travel Study also goes to Asia, Africa, Europe, South America, Alaska, and Scandinavia. On the tour BYU professors and Church Educational System instructors lecture on subjects they have taught and studied their entire lives, Talbot says. Travel Study also offers college credit on an independent-study basis for assignments completed while on tour. Each tour is also designed to inspire the soul. Every morning begins with a devotional, and groups are encouraged to attend church meetings with local congregations of the Church of Jesus Christ. Group members often form tight bonds through their connection as Church members and their common adventures on the trip. “About 80 percent of our groups have a reunion three months later, where they share their scrapbooks and slides and enjoy each other's company again,” reports Talbot. Travel Study also provides tours for private groups.